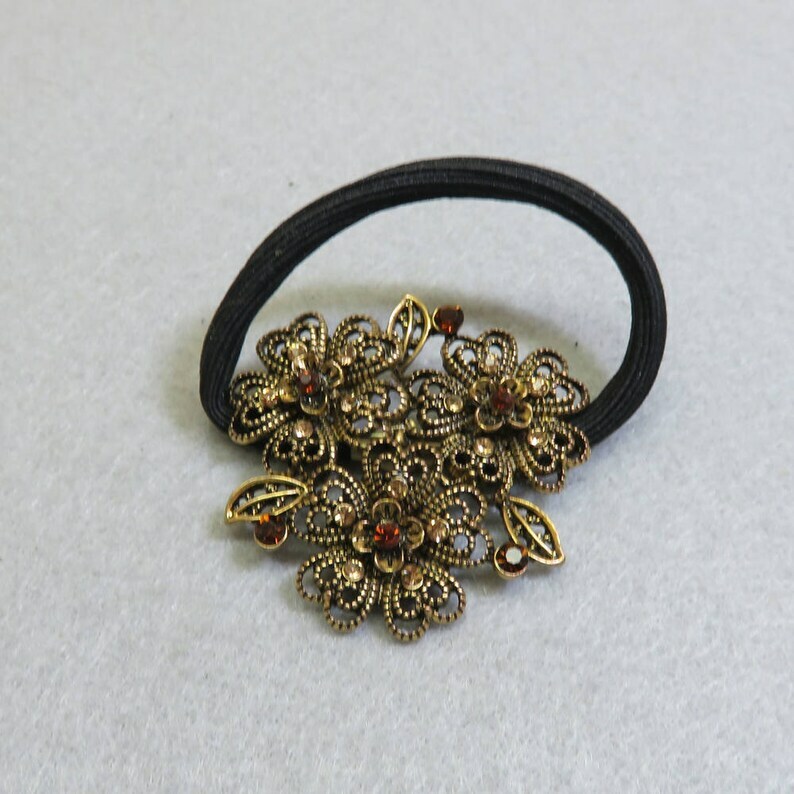 This very pretty 1990s vintage ponytail holder is an antiqued goldtone flower design with rootbeer brown rhinestones. It measures 2 inches in diameter. This has a black elastic band with no maker's markings. I can't see that this ponytail holder was ever used. 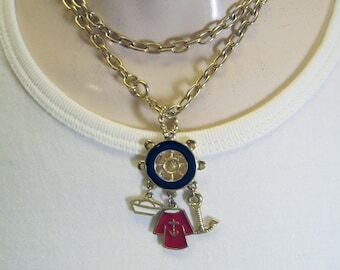 We will send this to you in a lovely gift box for easy gift giving.